9 AM, Monday morning. 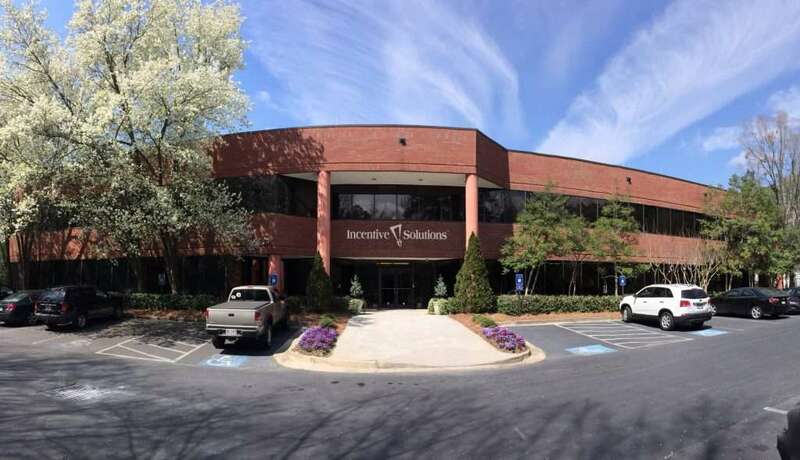 The workplace at Incentive Solutions (ISI) is buzzing with the energy of a new workweek. A TV in the breakroom discusses stock tickers, as a handful of employees catch up over the hum of the coffeemaker, many of them already on their second cup. Talk of the weekend, the custom demo site due Tuesday, the latest update of RewardTrax. Things move fast at Incentive Solutions. ISI is a clients’ company with an organizational culture built on growth. Projects move in sprints. Deadlines are constant. Collaboration, accountability, and workflow management are a must. A cardboard cutout of a thermostat labelled WIG—‘Wildly Important Goal’—displays progress towards the company’s overarching goal for 2019. The numbers at the top seem extravagant—except when you consider that the company has achieved double-digit growth each of the last four years. This emphasis on goal-setting and data-driven performance metrics extends to every level of organizational culture. Employees are held accountable for setting and achieving ambitious personal goals. But they’re given the tools they need to succeed. Regular coaching sessions with team leadership, ample workflow management tools, paid-for educational opportunities to expand their skillset through seminars and certification courses. And, of course, working at Incentive Solutions, the employee incentive programs are particularly generous. Mark Herbert opens the blinds in his office to let in a little bit of sunlight. Sunlight has been hard to come by this winter in Atlanta. At his desk, Nichole Gunn, recently promoted to VP of Marketing & Creative Services, sits, pert and attentive, thoughtfully tapping a pen against her cheek. At her side, a recently hired copywriter scribbles notes. Mark Herbert walks back to his desk. His office is spacious—the executive suite—a desk, several crystalline golf trophies, various awards from his 30 years in the incentive industry. Two cast-iron men struggle to hold up his collection of books. Beside his books are pictures of his wife and two daughters—his oldest, about to turn 18, was just a baby when Mark joined Incentive Solutions in 2002. In the corner there’s a potted plant and beside it a glass table and several chairs, where Mark regularly meets with his leadership team, clients, and investors. Recently ISI’s prodigious growth attracted the attention of Houston-based private equity firm, The CapStreet Group, LLC. 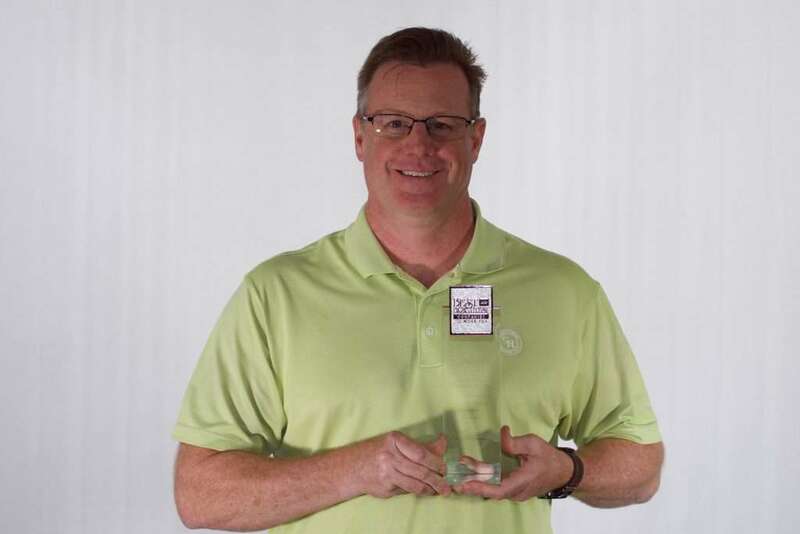 They announced their partnership with Incentive Solutions this past August, shortly after Mark Herbert was named CEO. Mark’s office is the first one you see when you walk into Incentive Solutions. Behind frosted glass with the printed ISI logo, it might seem intimidating if you didn’t know Mark. Mark Herbert has none of the self-importance you might expect from an executive business leader. Approachable, eager to laugh, self-deprecating—a champion of Incentive Solutions’ open-door policy. Outside of important meetings, which are often, Mark’s door is always open. Employees have his ear anytime they want to talk incentive strategy or discuss the intricacies of B2B sales. Channel sales don’t seem so complicated when you hear it from Mark. Mark gently spins a globe on his desk and looks up at plaque on the wall with pictures of him and his college buddies, from when they met up at the Atlanta Motor Speedway to drive the stock cars for their 40th birthdays. Mark got the fastest lap of the day—40 seconds, he’ll tell you with a laugh if you ever ask him about it. The purpose of this phone call is to dial-in on Incentive Solutions’ media presence, especially as ISI continues to grow, to work with increasingly visible business partners, and to expand its offerings in helping building material and industrial equipment manufacturers navigate their distribution channels. With Jon Lieb's help, Mark Herbert has become a go-to press source for thought leadership, with articles published in ThinkAdvisor and Insurance Thought Leadership, among others. Mark Herbert’s eyes light up as soon as the conversation turns to incentives. It’s apparent, even early Monday morning, that he genuinely enjoys the work he does. The strategy. The psychology. ROI. The potential for growth. “Well,” says Mark, “everybody who has a phone and a computer says they do incentive travel.” Mark laughs. He makes amused eye contact with Nichole and the copywriter who can’t help but smile with him. “And we do great incentive travel trips. That’s something that we do really well. But I think what really sets us apart are our people, the strategy we provide our partners, and our technology. “I think we’re one of the top companies, as far as technology and people go. We might not be the largest, but I think that gives us a huge advantage over our competition. Our competitors who have the kind of incentive technology and data-tracking capability we do, are pretty much stuck in their ways. For them to move or change their technology, it’s a huge shift. We can be more nimble and move quicker. “We’re able to really adapt to our clients’ needs. That’s why he have the annual BthruB Leadership Summit—to see what they’re doing, to talk about what they need, what features they’d like to see. And we’re able to implement those features quickly for individual clients—and then to incorporate those features in systemwide updates. Conversation lulls. Just for a second, but long enough for Nichole Gunn, instinctively sensing a good marketing angle, to direct the focus of conversation onto Mark, himself. Jon Lieb thinks this is a fantastic idea. He begins asking Mark about his past: How did he get into the incentive industry? His start at ISI? It’s clear that Mark Herbert is slightly less enthusiastic about this line of conversation. But he can sense he’s outnumbered on this one. Between self-deprecating jokes and a couple prodding questions from Jon Lieb, eventually the story comes out. Arguments about nature vs. nurture notwithstanding, if anyone was born to be the executive leader of an incentive company, it was Mark Herbert. His story is an interesting exercise in what happens when passion meets opportunity. As a child, Mark’s parents owned and operated an incentive travel agency in New Jersey. His father oversaw the travel side of things, his mother the incentive aspect. Mark’s high school graduation present was to go work onsite as staff for an incentive travel trip for his parents’ company. Mark continued to work with his family’s business as a global tour guide during summers in college, getting an early opportunity to interact with prominent industry brands and corporations. It was only natural that after college, when he launched his career, it was in the incentive industry. Personable, straightforward, well respected by vendors and competitors, he rapidly ascended the ranks, rising to business management and then to executive leadership. His work brought him from New Jersey to Boston, then cross-country to San Diego, and finally back the other direction to Atlanta. It was in Atlanta that Mark Herbert solidified his friendship with Incentive Solutions founder, Steve Damerow. “Steve and I had known each other for many years prior. When I moved to Atlanta, Steve was asking me to work for him. But I was already running a division of a company that was much larger than Steve’s company at the time. I’d say, ‘Steve, why would I come work for you when I run a larger company than you are?’” Mark laughs at the recollection. But then Damerow stepped up his offer. “So you came in as President and Partner?” asks Jon Lieb. Nichole tilts her head. “I had no idea you came in here with some crazy title.” She’s been working with Mark Herbert for 11 years. While it’s not unusual for business executives to position themselves as the Everyman for branding purposes, if you spend any amount of time with Mark Herbert it’s hard to doubt his genuineness. The only thing less surprising than Mark beginning his career at ISI with a purposefully modest title is the fact that he never thought to tell anyone about it. Things are winding down. Nichole has already booked a follow-up appointment with the media company to flesh out Mark’s bio. Suddenly, turning to Mark, she asks him what he hope his legacy at Incentive Solutions will be. Mark Herbert pauses for a long time. He stares at a painting on the wall opposite. A surrealist piece: rolling hills in a dusky sunset. In the center, a geometric pattern of eyeballs perch on top of a rock, like a colony of bats. Some of the eyes have already taken flight, drifting higher into the darkening sky, looking into the future, perhaps. It seems symbolic of the moment.